When a throng of cyclists from all corners of <?xml:namespace prefix = st1 ns = "urn:schemas-microsoft-com:office:smarttags" />France converged on Saint-Etienne one day last July as they had done for more than forty years, they were paying homage to a man who accomplished great things in a small corner of the world. 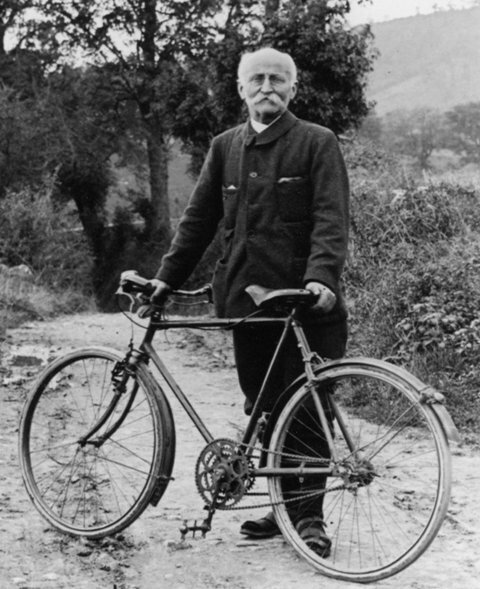 He was a man who devoted a lifetime to the perfection of the bicycle and the art of riding it, a man who inspired countless others through the strength of his character and the beauty of his writings, a man who even in his old age was capable of prodigious riding feats; in short, a man who might well be called the patron saint of cyclists. 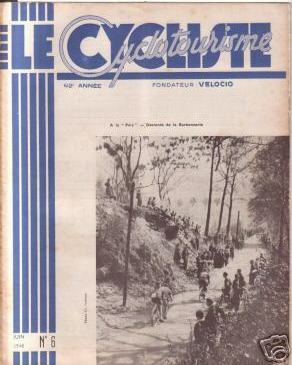 That man was Paul de Vivie, better known as Velocio. To read more click here for the full article on a pdf file. 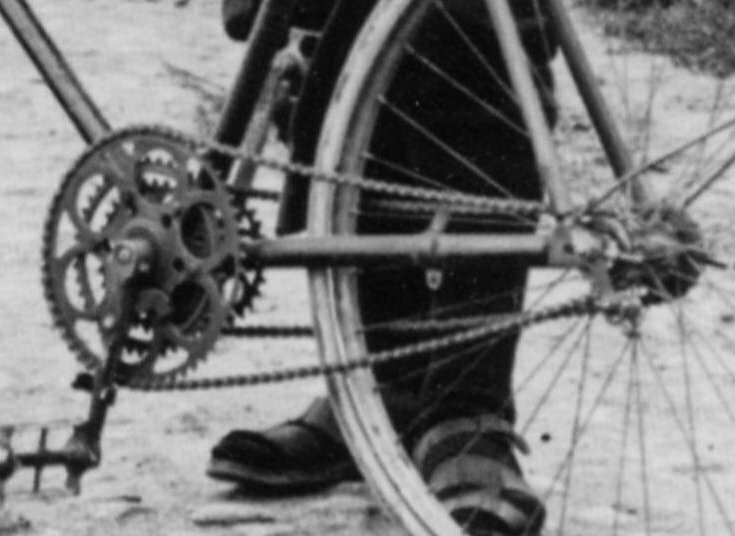 Velocio with his unique chains shown close up. 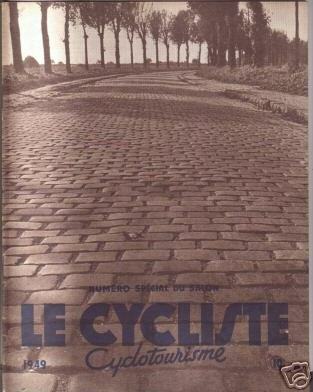 Three cover of 'Le Cycliste' Cyclotourisme magazine founded by Velocio. 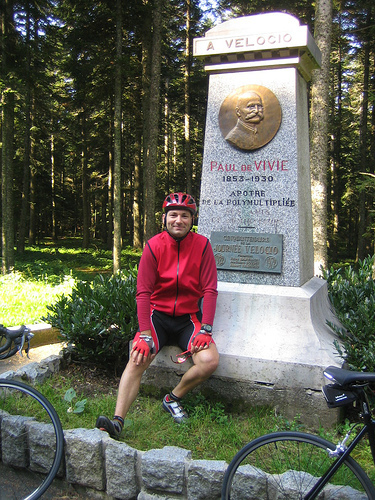 An unknown cyclist poses near the memorial to Velocio at the summit of the Col de la Republique (Col du Grand Bois). 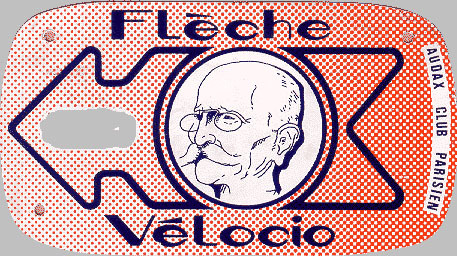 The Flèche Vélocio, started in 1947 in homage to Paul de Vivie a pioneering touring cyclist and campaigner for derailleur gears. Teams of three to five leave the cathedral of Notre-Dame in Paris to ride to wherever in Provence the traditional Easter gathering, Pâques en Provence, is taking place. It involves riding at least 360km in 24 hours. 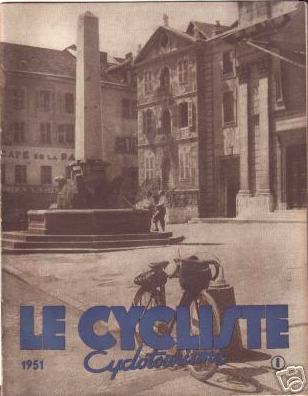 Just one team took part in 1947: Paulette Gallet, Jean Dejeans, Charles Portuault and Alfred Gadeceau, who rode 461km to Grignon.